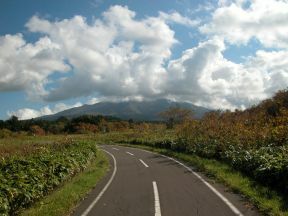 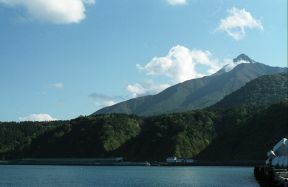 The Rishiri cycling road to which about 25 km is connected from the Notsuka-misaki point to the Rishiri athletic park in Kutsugata. 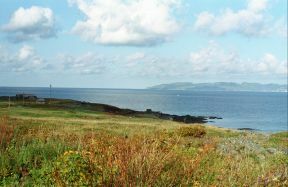 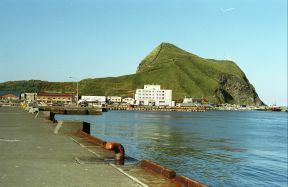 The beach and the Rebun island in a cycling road to Oiso. 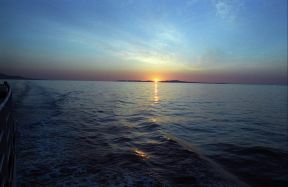 The setting sun which sets in the Rebun island from a ferry.